Grand Rapids Pops presents 'E.T. in Concert' Nov. 4-6, 2016, in DeVos Performance Hall. Call the GRS box office at (616) 454-9451 ext. 4 or go online to GRSymphony.org. Full-time students of any age are able to purchase tickets for only $5 on the night of the concert by enrolling in the GRS Student Passport program. This is a MySymphony360 eligible concert. 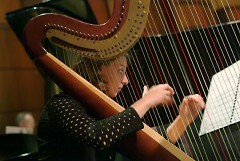 Grand Rapids Symphony Principal Harpist Elizabeth Colpean plays an important role in the performance of John Williams' score. Composer John Williams is the best-known film composer of modern times. Winner of five Academy Awards for films including "Jaws" and "Schindler’s List," Williams is that master at setting the scene for an epic battle between good and evil, father and son, Darth Vader and Luke Skywalker; or for Indiana Jones, bullwhip in one hand, revolver in the other, giving chase and making it up as he goes along. The composer who’s collaborated with director Steven Spielberg on films including "Jurassic Park" also is a master at making musicians work hard to make movie magic. 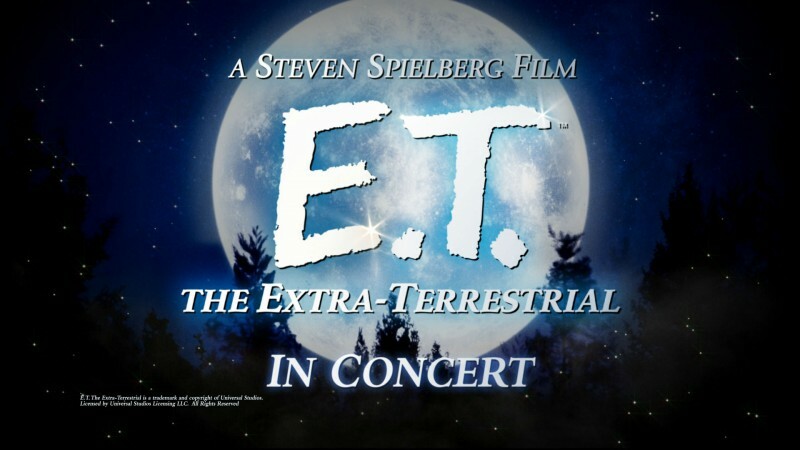 Grand Rapids Pops presents "E.T. 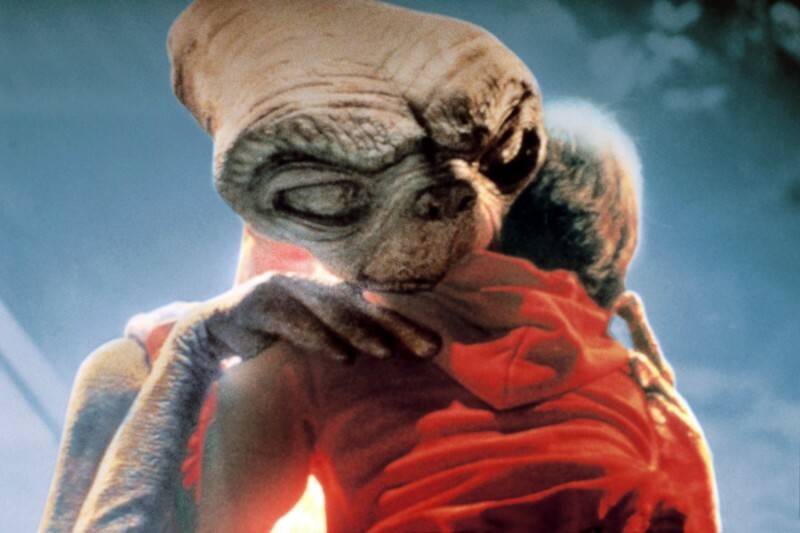 the Extra-Terrestrial," the full-length film about a little, lost alien and the boy who befriends him, accompanied by live music this weekend in DeVos Performance Hall. Associate conductor John Varineau leads three performances for the Fox Motors Pops series at 8 p.m. Friday and Saturday, Nov. 4-5, and at 3 p.m. Sunday, Nov. 6. Tickets start at $18 or $5 for students. Grand Rapids Symphony’s Principal Harpist Elizabeth Wooster Colpean has been preparing for the performance since May, when the printed music arrived along with a note, suggesting it be given to the harpist earlier than anyone else. In the 1982 film that won four Academy Awards, including the Oscar for Best Original Score, Williams gives the harp at least four or five major solo passages, including two scenes that are nearly an entire harp solo. “Perhaps they could be compared to a harp concerto,” said Colpean, who is in her 17th season with the Grand Rapids Symphony. One scene is when Elliot, played by Henry Thomas, lures ET into the house and his bedroom with handfuls of Reese’s Pieces. That’s where the harp solo – marked “molto rubato, dream-like,” begins. The second prominent harp solo comes when Elliot’s mother, Mary (Dee Wallace), is reading a bedtime story to his sister, Gertie (Drew Barrymore) while ET, hidden in a closet, watches through the door. Moments later, Elliot cuts himself on a saw blade, and ET and his glowing finger come to the rescue. One of the most popular and successful American orchestral composers of the modern age, Williams’ films also include such dramas "Saving Private Ryan" as well as comedies including "Home Alone." Besides his five Academy Awards, Williams has received 50 Oscar nominations – most recently for"Star War: The Force Awakens" – making him the Academy’s most-nominated living person and the second-most nominated person in its history. The final scenes of "E.T." proved to be a milestone in Williams’ career and 40-year association with Spielberg. During the recording process, after Williams made several unsuccessful attempts to match his score to the film, Spielberg turned the film off and asked Williams to conduct the music for the scene as he would in a concert. Instead of the usual practice of recording the soundtrack to coincide with the final edit of the film, Spielberg re-edited the finale to match the music. After months of studying and practicing her part, Colpean finally sat down in September to watch "E.T." with the music, a metronome, Post-It notes, and a sharpened pencil at hand.